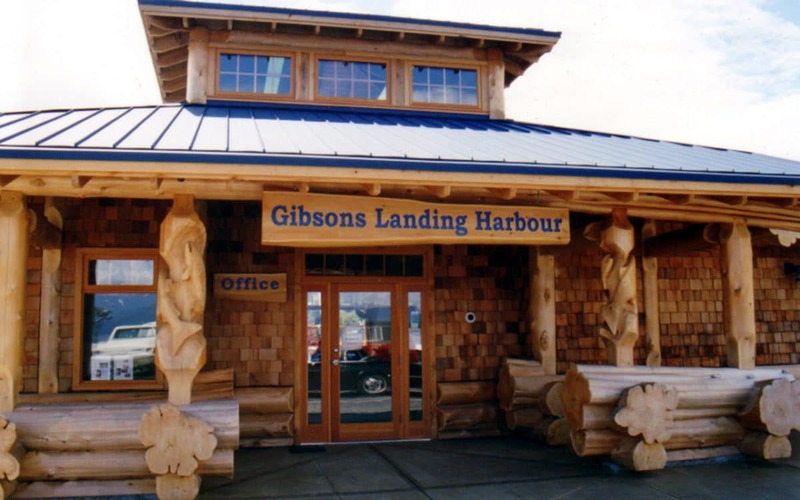 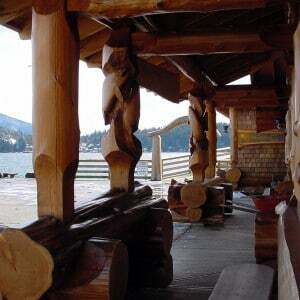 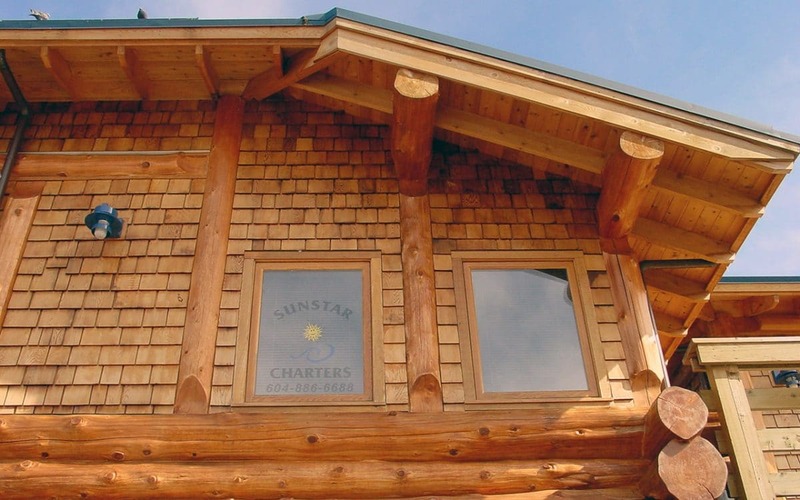 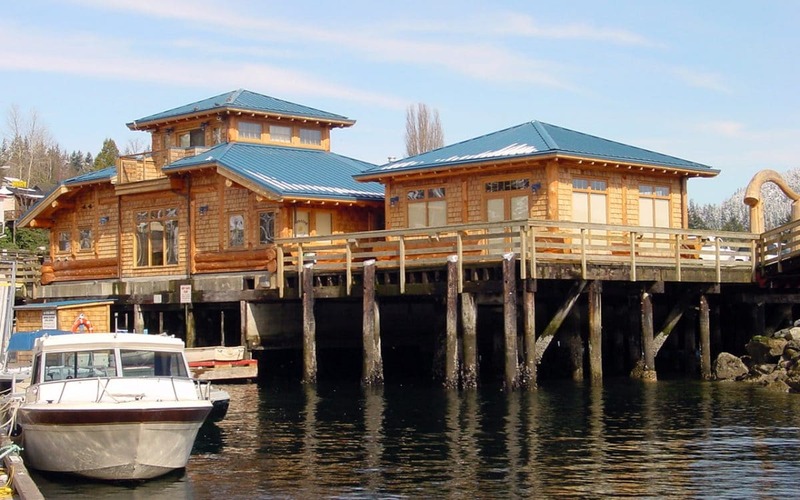 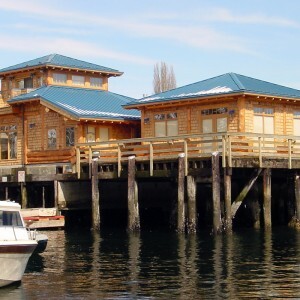 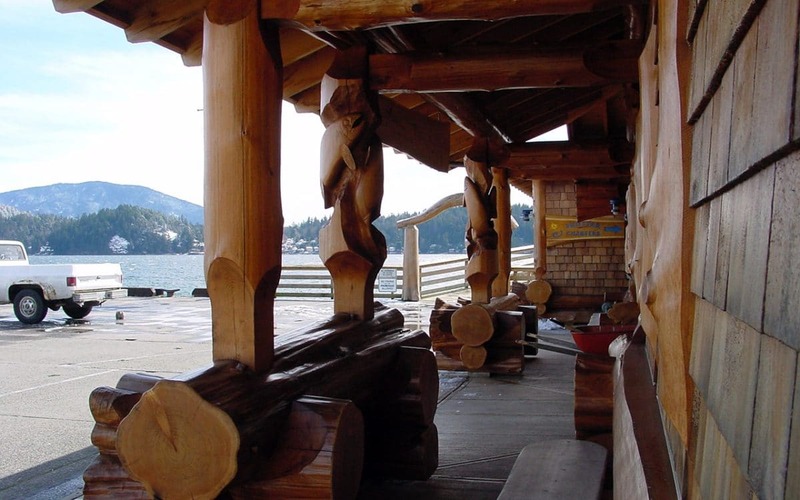 The Gibsons Landing Harbour Office was built in partnership with The Gibsons Harbour Authority, Canadian Coast Guard, and Fisheries and Oceans Canada. 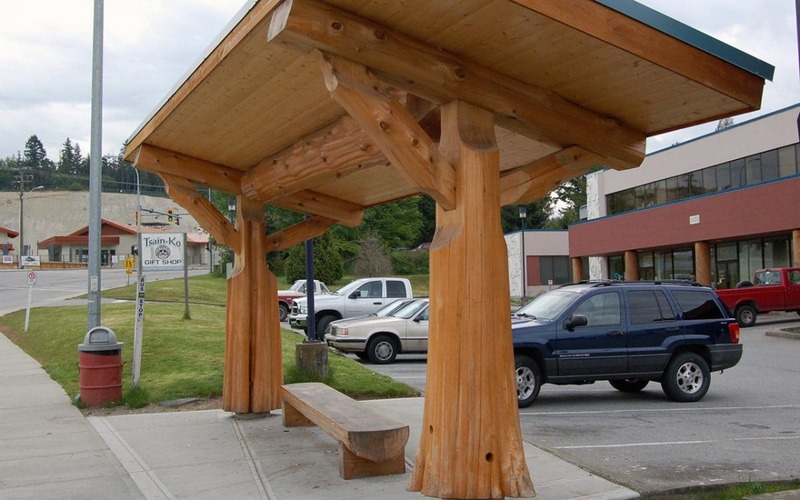 The building had become a landmark within the community and houses offices, washroom and laundry facilities. 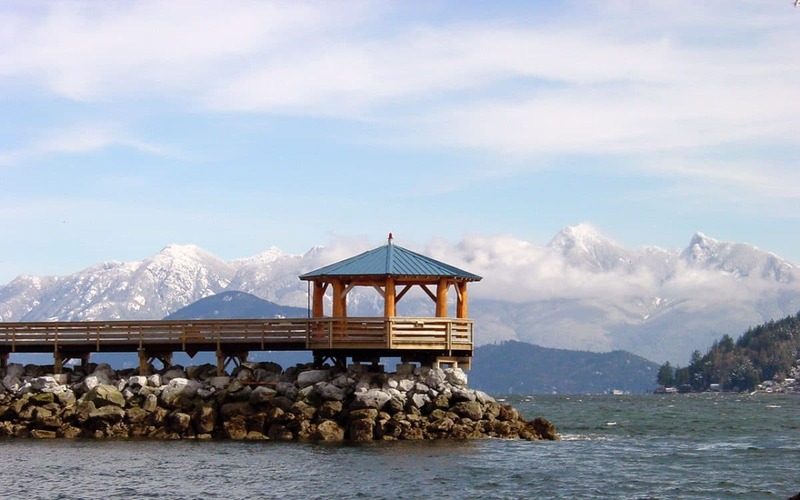 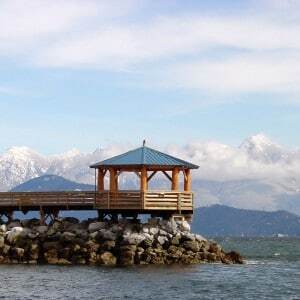 This project also included a gazebo at the end of the breakwater, which is often used for weddings. 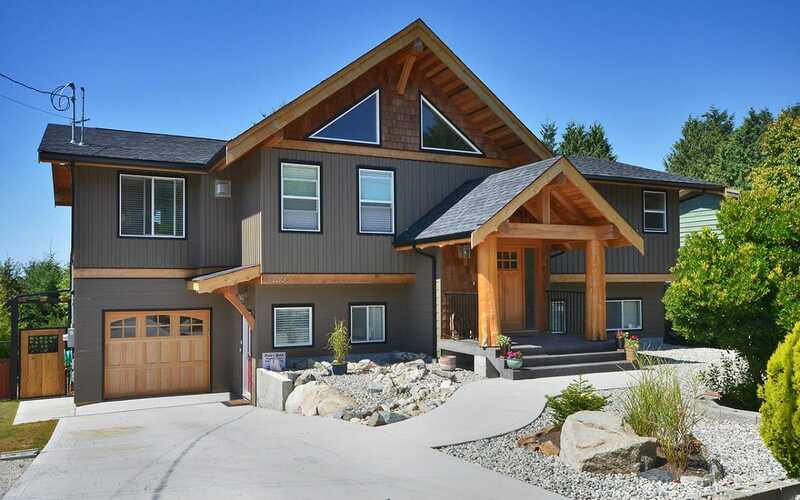 This stunning four bedroom fusion style home features Japanese influenced landscaping. 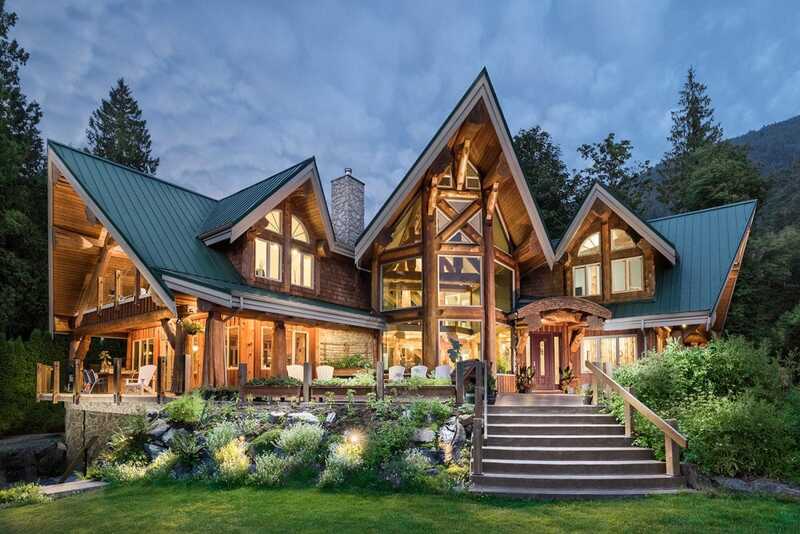 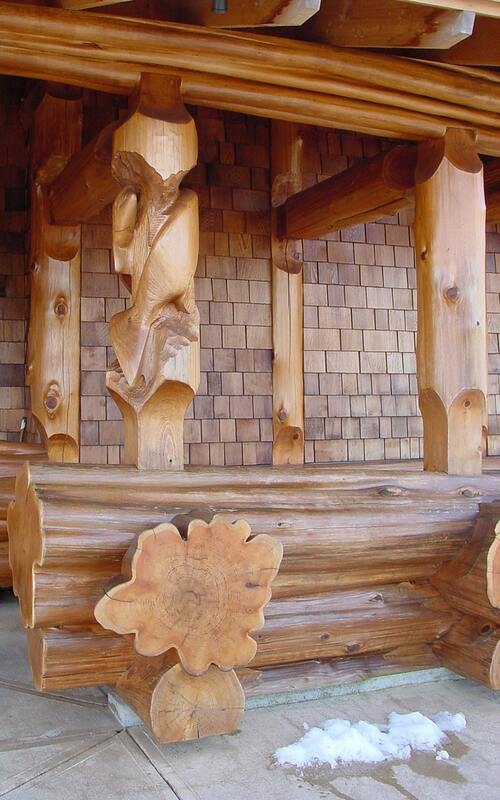 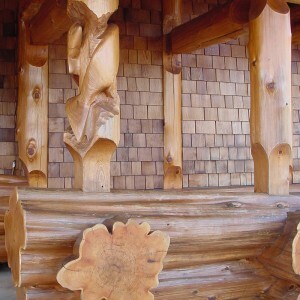 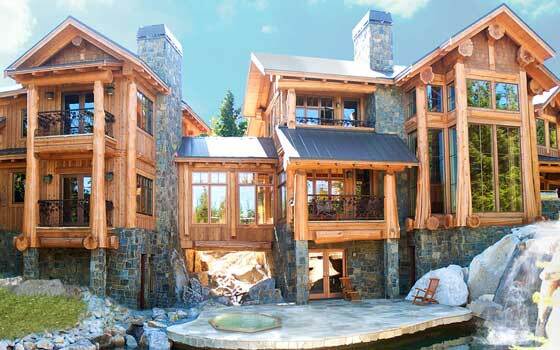 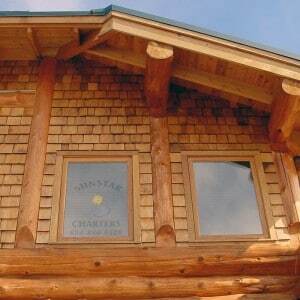 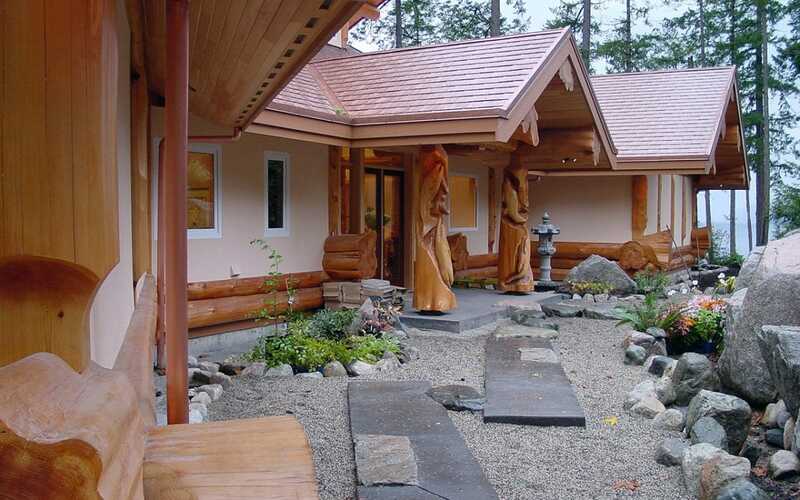 The log package on this home was treated with a high-gloss stain to truly make the logs stand out. 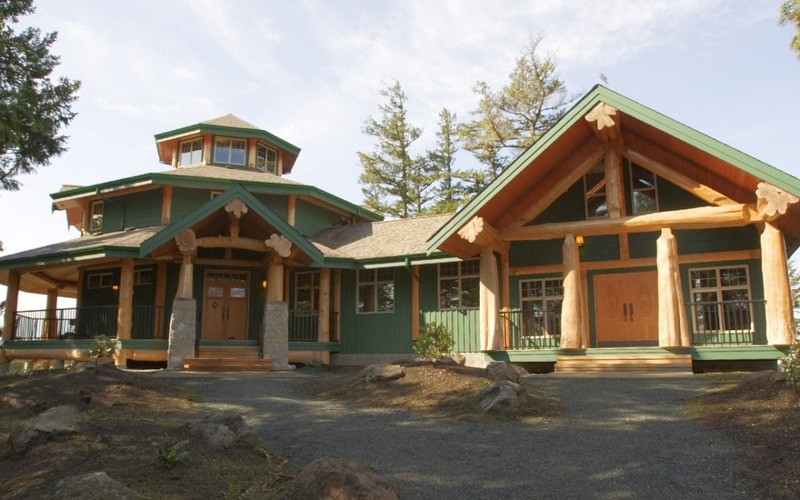 The exterior is finished with acrylic stucco.